Star Time Lapse | Just Shooting Memories! I was too excited about this to not post it tonight. I have tried, unsuccessfully for a couple of weeks to get a good astrophotography time lapse. It has been frustrating to say the least. Whatever you do, make sure you check everything and then double check it again. I wanted to post this to Vimeo, but had trouble with the video jumping when it was in the small player. However, I have added my first successful attempt to YouTube. In honor of posting the star time lapse, I decided to post a photo of one of the rockets that took many of our finest one step closer to the stars. 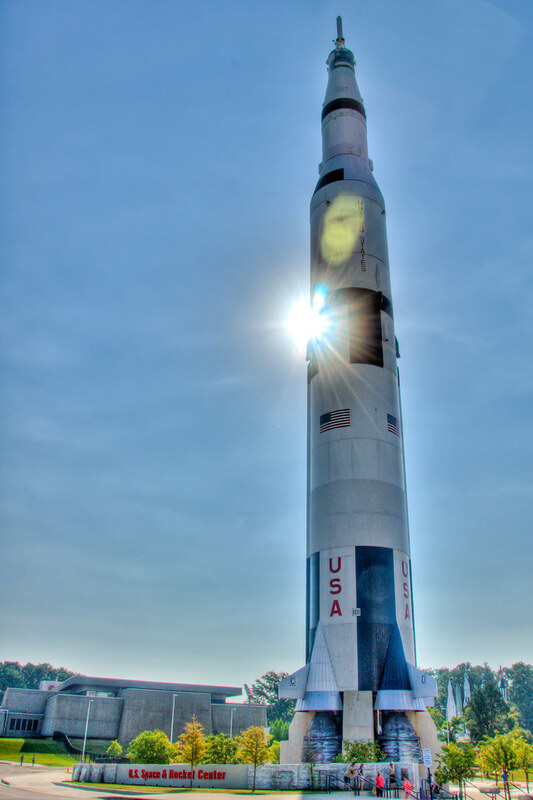 The mighty Saturn V rocket is such a beautiful sight standing at the U.S. Space and Rocket Center in Huntsville, Alabama. This place is even cool enough to have two of them. One is standing in front of the center while the other is inside a huge room in the Davidson Center for Space Exploration. The rocket outside is held off the ground by supports so that you can walk underneath it and see the five massive rocket engines of the first stage. All I can say is, I can’t wait for the United States to have an active space fleet again. I also got to go to the Udvar-Hazy building of the Air and Space Museum at Dulles Airport in Washington D.C. and see the shuttle Enterprise. And while you check it out, don’t miss last Wednesday’s Daily Photo. Two homeruns in one post. The time lapse looks really great. I want to try this too, but will need to get out of town, just to see the stars. Then there is that Saturn V. I didn’t know there was one in the country still vertical. I’m going to have to come see this one day soon. Great work! Your timelapse is terrific. I’ve been playing around with timelapse for a while, and have thought about doing the night sky for some time. Curious to know more about your camera settings and technique. Nonetheless, terrific outcome! You guys are too kind. Thank you. Kris, Tim asked about a tutorial and I will have to write one soon. I will put that one beside the other one I have in the works. But, for this one: 18mm, f3.5, 3200 ISO, 25″ exposures, focused on infinity. I set the intervalometer at 25″, 1″ interval, 399 exposures. Minor post in lightroom. Put the video together in VirtualDub.